The Centre for Environmental Justice and an Environmental Scientist yesterday filed a writ petition in the Court of Appeal seeking an order directing the Wildlife Minister and the Wildlife Department Director General to formulate a National Policy to protect elephants. The petitioners further sought an order in the nature of writs of certiorari quashing Wildlife Minister’s decision to translocate the pair of elephants remaining in the Sinharaja area. The petitioners sought an order to formulate a National Policy on protection of elephants, including steps to minimise attacks on human beings, acting under and in terms of the provisions of the Fauna and Flora Protection Ordinance. 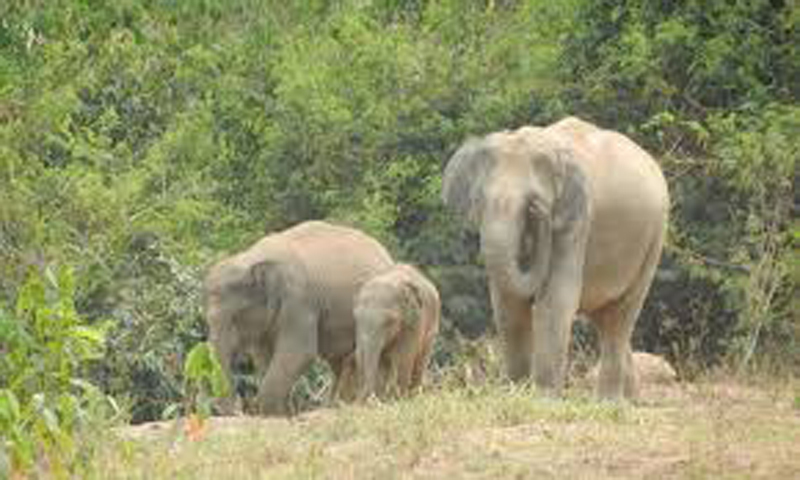 Petitioner state that measures are being taken by Minister and Director General of Wildlife to translocate the pair of elephants roaming in the Sinharaja arears to a completely a different environment such as Horowpothana or a small plot of land near Kalawana without conducting any scientific study thus risking the lives of the elephants. Petitioners state that Asian Elephants with scientific name Elephants Maximus living in Sri Lanka is a rare species of animals which is important as part of the biodiversity only lives in isolated populations in 13 states including Sri Lanka is a highly threatened species. The elephant is a keystone species that the whole ecosystem depends on this single species. The first national survey of Sri Lanka’s wild elephants held in 2011 says estimated elephant population is around 5,879 wild elephants including 122 tuskers and 1,107 calves. However, conservation experts question the survey methodology and states that this figure is an over exaggeration. According to the Wildlife Department around 250 elephants are being killed annually and several tuskers have been killed in the last few months.They were killed by gun shots, ‘Hakka Patas’, electrification and poisoning. The petitioners state that Sinharaja is a World Heritage Site and UNESCO had informed and advised Sri Lankan authorities to not to remove any fauna or flora from the heritage site and maximum protection should be given to all fauna and flora lying in the area known as the “Sinharaja Rain Forest”. They stated that any movement or translocation of the remaining pair of elephants would definitely violate the conditions laid down by UNESCO. This petition was filed through Counsel Ravindranath Dabare and Nilmal Wickramasinghe.